As a premier Modesto moving company, Mid Cal creates a comprehensive plan of action in order to make your transition as simple and straightforward as possible. 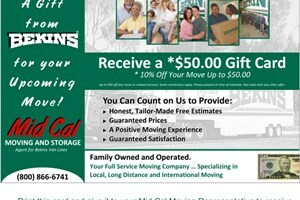 Our trained and certified Modesto movers are diligent, courteous and professional. They specialize in a variety of services, including delicate packing, debris removal and crating. We even assign a Move Coordinator to every project we take on for additional supervision, support and overall direction. Call us today for more information and a free quote! For more information on movers in Modesto and the comprehensive services they provide, call us today or fill out the Quick Quote form above for your no obligation estimate.